The state Occupational Health & Safety / Workplace Health & Safety Regulations specify that all employees’ that are required to wear hearing protection must have audiometric testing at least every two years. Our main objective is to assist industry comply with the Occupational Health and Safety / Workplace Health & Safety state Regulations. Our qualified staff are trained to handle all operational activities on the day of the testing to minimise any disruption to the normal work day routine. 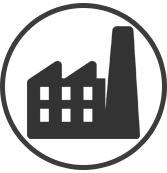 We also can assess your workplace to identify noise levels that exceed the current regulation standards. Having hearing tests conducted at your work place helps you to minimise interruption to your daily work. As part of our service we will travel to your company premises to carry out the Audiometric Hearing Tests. 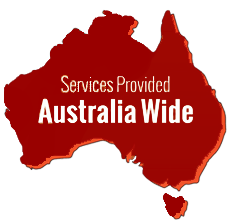 Our normal schedule throughout the year takes us all over Victoria, NSW and areas in South Australia. We include as part of our service a complete summary of test results, an analysis of employees tests with previous results and all relevant documentation for the legal Authorities. Educational material will also be provided to each employee about hearing loss. We understand that you have many things to think about while running your business so as a courtesy we will contact you when your re-testing is due. We can manage the process end to end. Our report will include a comparison with the previous test if available, and highlight any employees that have a significant shift in their hearing. We can also highlight any employees with significant hearing loss and discuss the companies potential liability in regard to hearing loss claims. A soft copy of the report is also available if required. Issued ear plugs or earmuffs to employees after workplace noise levels testing. Then you are required by law or advised by applicable Australian Standards to assess your noise levels and if you have issue hearing protection, then the state regulation requires that organisations conduct Audiometric hearing tests and keep record of the results. We spend approximately 12 minutes with each of your employees during the completion of audiometric testing. It may take a little longer if we need to confirm some test results. Our price structure is clear, competitive and all inclusive. Flexibility to conduct onsite hearing test to meet your requirement. +PLUS End to End management of booking, testing, reporting. Testing is conducted at your premises, reducing disruptions. +PLUS Our Vehicles are fitted with sound proof cabin to be able to do the testing on site. +PLUS Our technicians are fully trained. A summary report of all employees tested. A debrief via phone to answer any questions which may arise from the audiometric hearing test report, or any of the documentation provided.